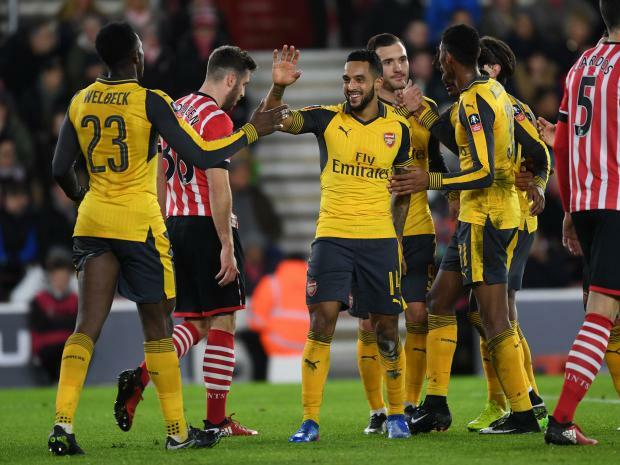 Arsenal thrashed Southampton 5-0 in the FA Cup on Saturday and Theo Walcott was one of those who starred on that occasion. The English international bagged a hattrick after Danny Welbeck had secured a brace earlier in the game. 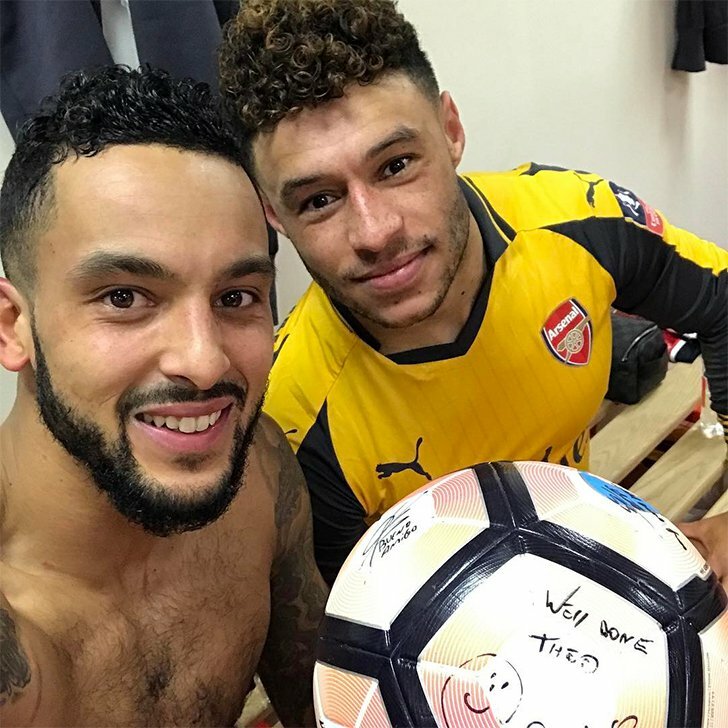 His feat in that fourth round encounter earned him the match ball which he posed with alongside Alex Oxlade-Chamberlain. The duo were once players at Southampton and they had no pity on their ex-employers when they visited St.Mary's on Saturday.